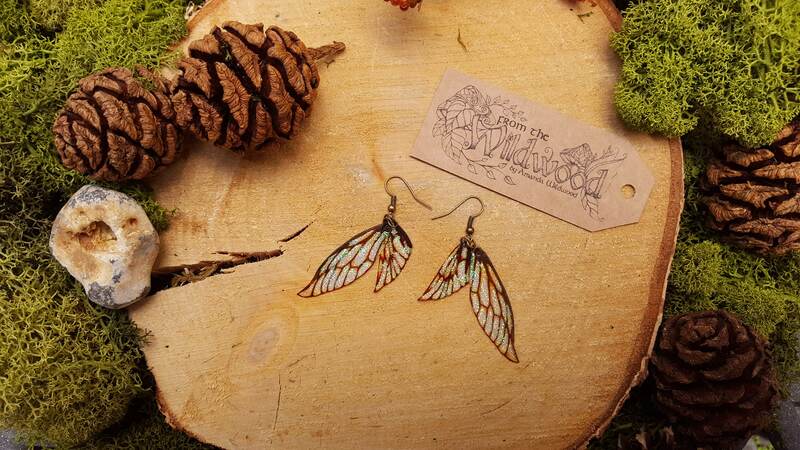 Fairy wing earrings. Vintage sepia lightweight faerie glitter wings. 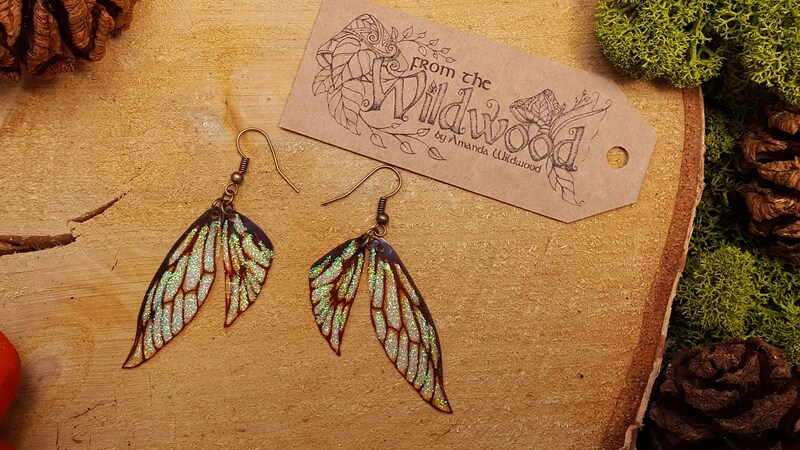 From The Wildwood's new style of lightweight fairy wings. 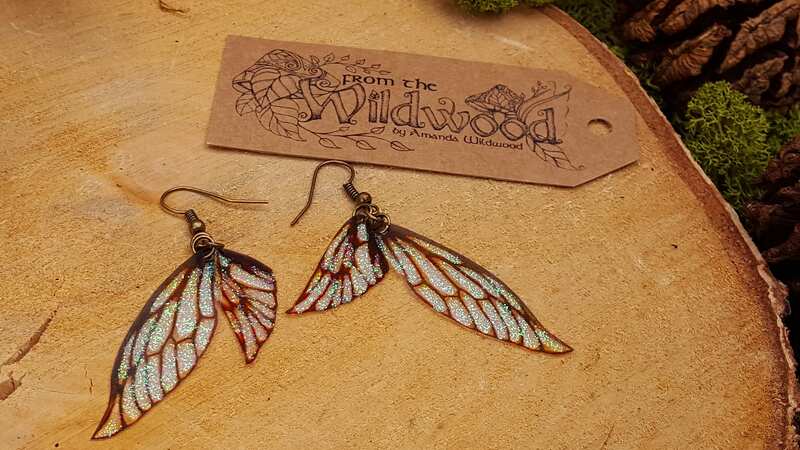 Much lighter and thinner than my original wings, these ones are more flexible and full of fairy sparkle. 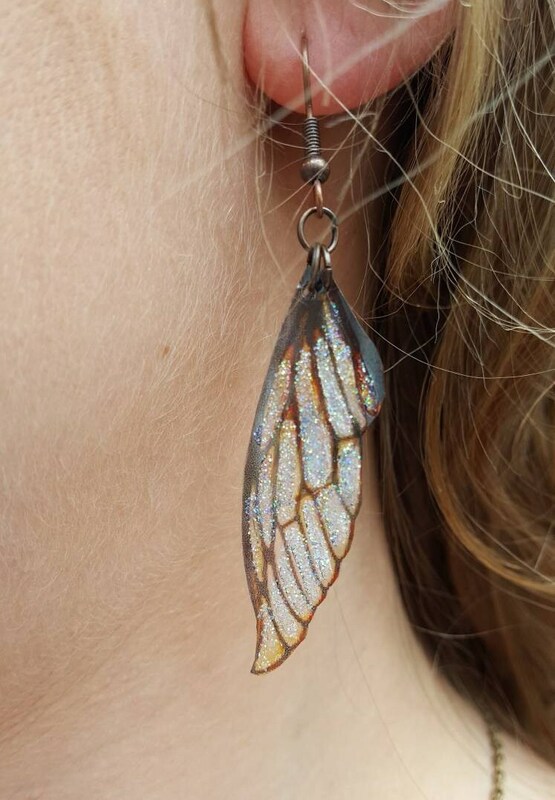 If you love magic and glitter then these are the wings for you! 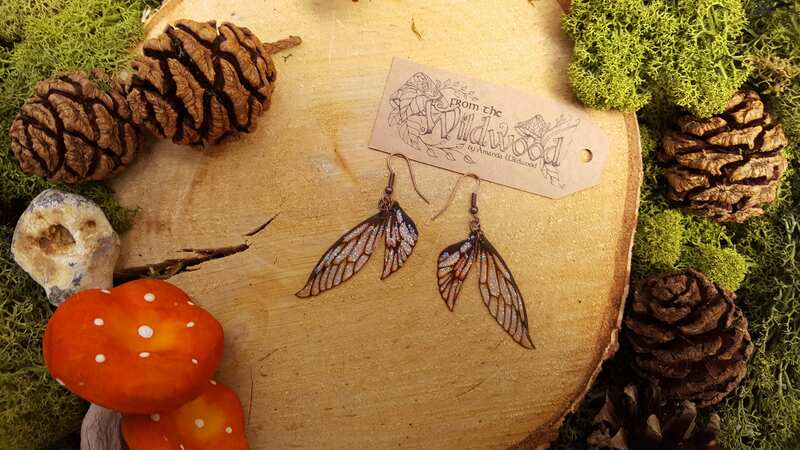 They are perfect for Faerie daytime wear or for any evening magical ball. 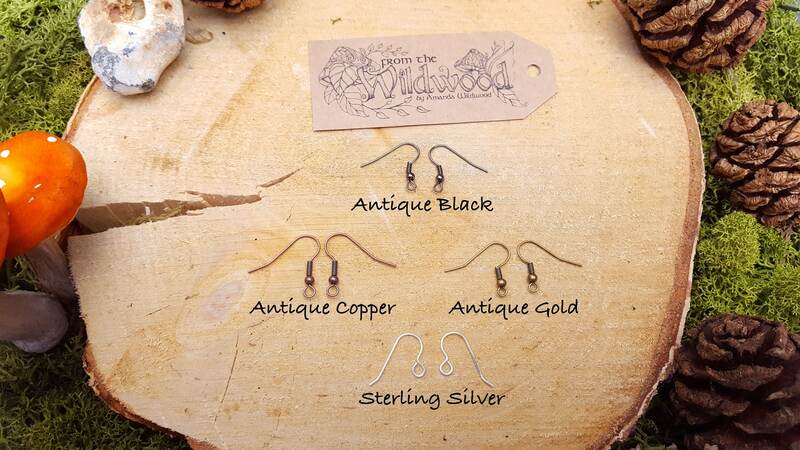 They are available with a range of ear wires including antique black, antique copper and sterling silver. No creatures, mythical or otherwise were harmed in the making of these wings. 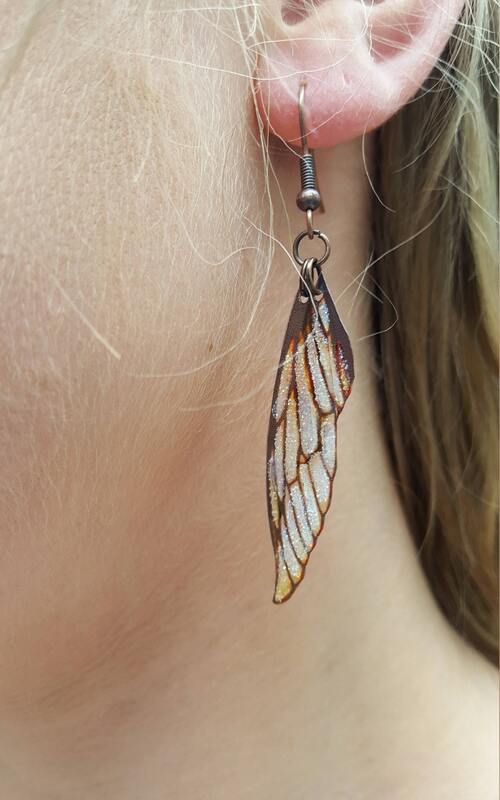 These wings have an average drop of 7cm in the ear. 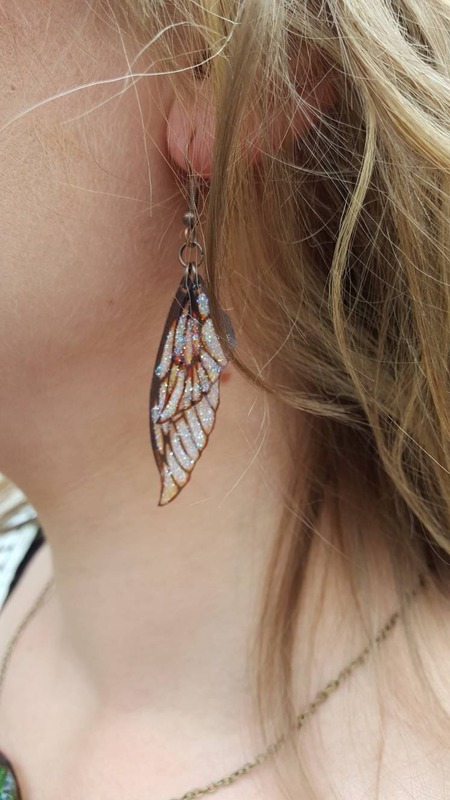 Each earring has 2 wings. The largest wing has an average size of 4.5cm x 1.5cm and the smallest wing has an average size of 3cm x 1.25cm. 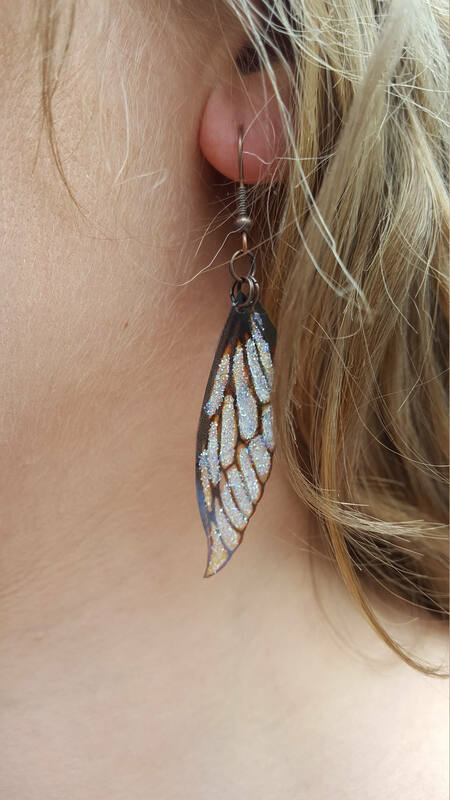 These wings are also available in purple and Ice Queen Blue. They are packaged in a hand printed gift box. The postal packaging is made from strong recycled cardboard to keep your earrings safe in transit. DISPATCH TIME: 1-5 business days. PLEASE NOTE: I offer an upgrade tracked shipping option for the UK and international customers. 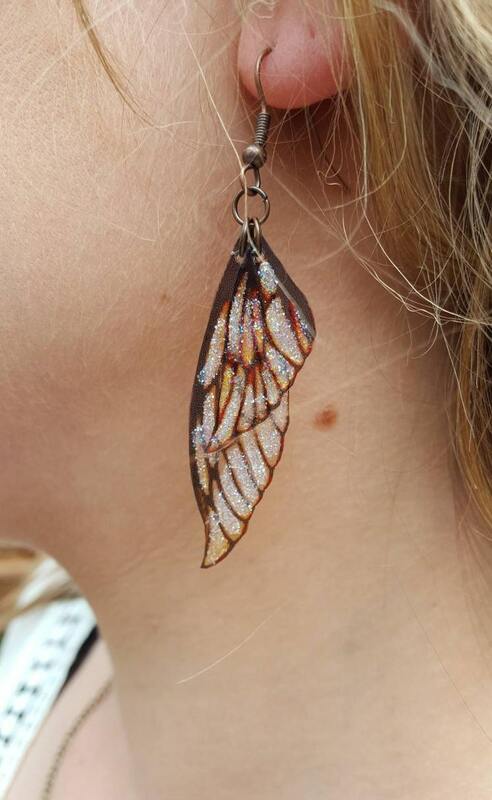 Every pair of earrings are unique and colours and shape may vary slightly.